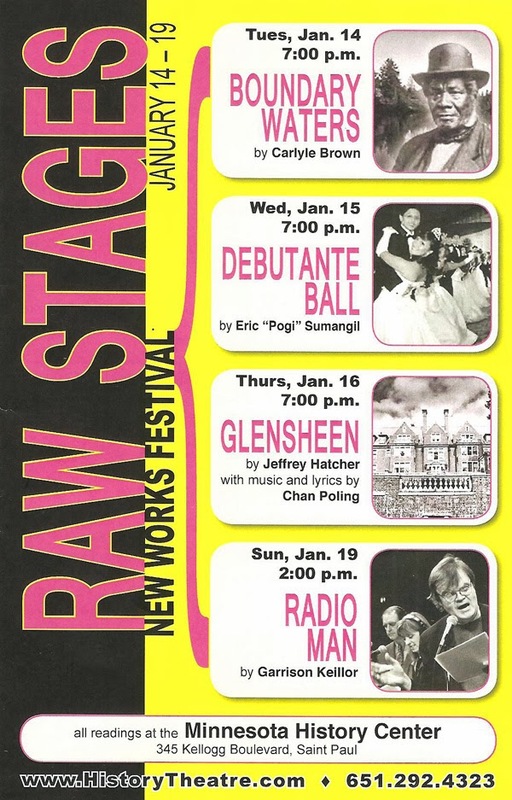 The second new work presented as part of the History Theatre's Raw Stages Festival is Debutante Ball, about a group of Filipino-American youth preparing for the traditional Debutante Ball, and the strict but supportive woman who guides them through the process. Written by Eric "Pogi" Somangil and directed by Randy Reyes (newly crowned Artistic Director of Mu Performing Arts), it's a charming look at young people and the usual struggle to find yourself at that age, along with the added struggle of trying to figure out what it means to be Filipino-American. We meet six teenagers, three girls preparing for the Debutante Ball (played with youthful charm by Jöelle Fernandez, Suzie Juul, and Noelle Trovela) and the three boys who will serve as their escorts (the equally youthful and charming Patrick Faunillan, Alex Galick, and Kenneth Gonzales). Anna is participating despite her parents' objections, who have chosen to forget their Filipino heritage and raise their daughter as an assimilated American. But she longs to know more about her culture, so she moves in with a friend, gets a job, and decides to do this on her own. She spends time with her new friends (typical teenagers like the spoiled rich girl, the smart and independent girl, the cocky jock, and the nerdy awkward boy) and Tita Belinda, the community auntie who is hard on the kids as she teaches them to dance, but has a soft spot underneath for her charges (the character is based on a real person). The highlight of the show is a fully realized and completely entertaining performance by Arnold Felizardo as Tita. The play features very natural language, with the teenagers talking like real teenagers talk. They also mix in some words from the Filipino language in an organic way. The history of the Debutante Ball, and the Philippines in general, is told in a very clever and well-done rap by the entire cast. Because it came early in the show, I was expecting there to be more music in the play than there was. A few lines were later sung as the boys serenade one of the girls, but it was quickly replaced by a recording of DaHil Sa 'Yo. I would love to see more live music incorporated into the next incarnation of the show, in this section and also the dancing scenes. One thing there is much of in this play is humor; I particularly enjoyed the argument about why hobbits are Filipino. Another night at the Raw Stages Festival, another well-written and promising new play brought to life by a talented cast. Hooray for the History Theatre for fostering new work that is specific to this place, giving all Minnesotans a chance to tell their story. I appreciated the opportunity to learn a bit more about the Filipino-American culture that is so active right here in Minnesota (see the Fil-Minnesotan website to learn more). Hi Jill! Thanks for coming out to the reading. I wanted to let you know that my intention was for there to be a lot of music throughout the piece, from waltz rehearsal music to hip hop, to Filipino folk songs/dances as well as a live version of Dahil Sa 'yo. For a staged reading we're limited in a lot of ways, including shortened rehearsal time, and no sound design/music direction, so we consciously chose to focus on developing the story and doing character work rather than spend time in rehearsal learning a live song. And rest assured, Tita Belinda is not the only character based on a real person. Every character on that stage is based on people I knew from my days in the Debs ball. Some of them were actually there at the reading. In some ways, AJ is based on me. And yes, I actually did a harana for my debutante partner the 2nd year I escorted the ball. Gusting is my dad's nickname, and he was in a dance troupe with "Tita Belinda" where he kept notes of her steps and irritated her by bringing out his notebook when she would tell them that they're doing something wrong. And yes, I once got in an argument with someone who was CONVINCED that Hobbits were based on Filipinos. Thanks again for coming to the reading. If/when the show is fully produced, I hope you'll come see it, with all the music and such, full out. Hi Pogi, thanks so much for the background, how fun! I look forward to the full production with more music. You're off to a great start!